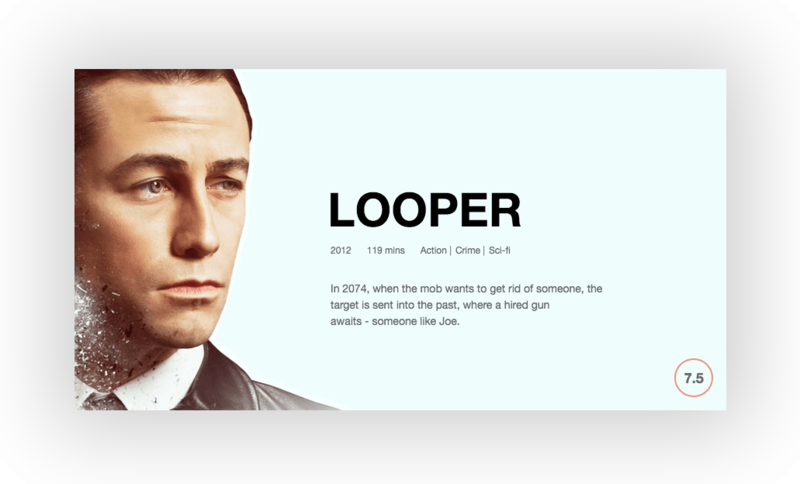 Looking for Movie card code snippets for your next project or looking for inspiration? Awesome! We got your back. 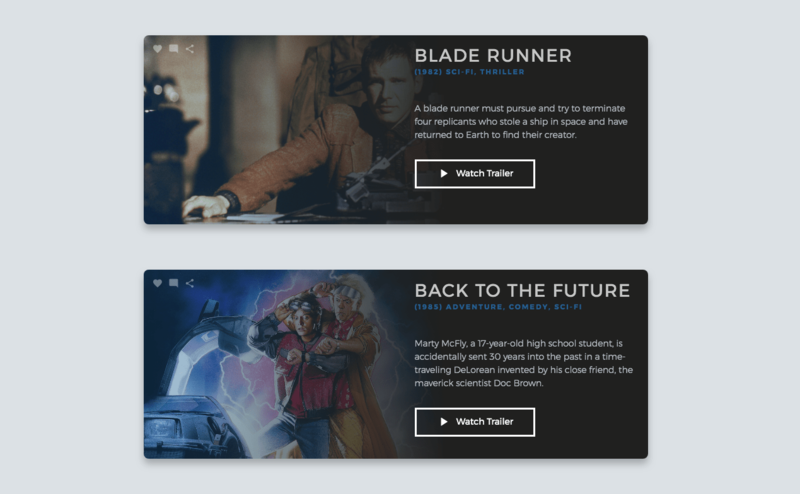 In this post, we’re going to share a Collection of free HTML and CSS movie card code examples with you. 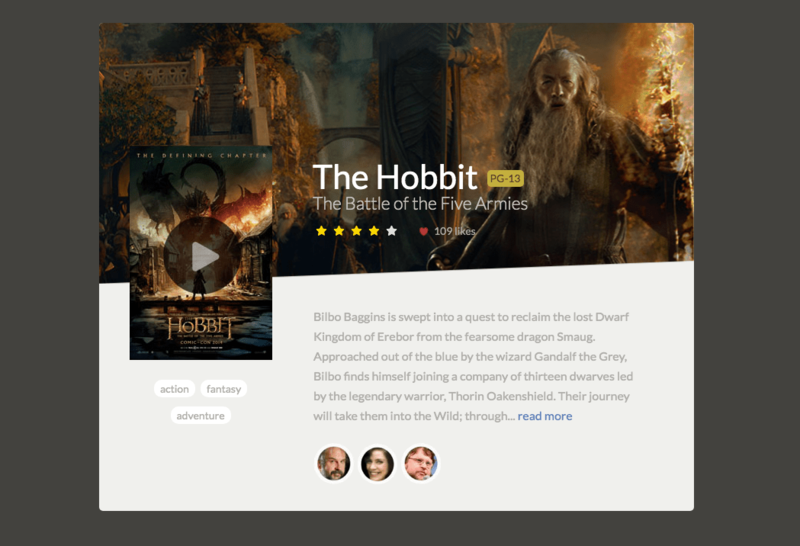 Movi card with options and movie information. Created by George Mironidis. Large movie card with poster background and thumbnail trailer preview and also includes the plot. 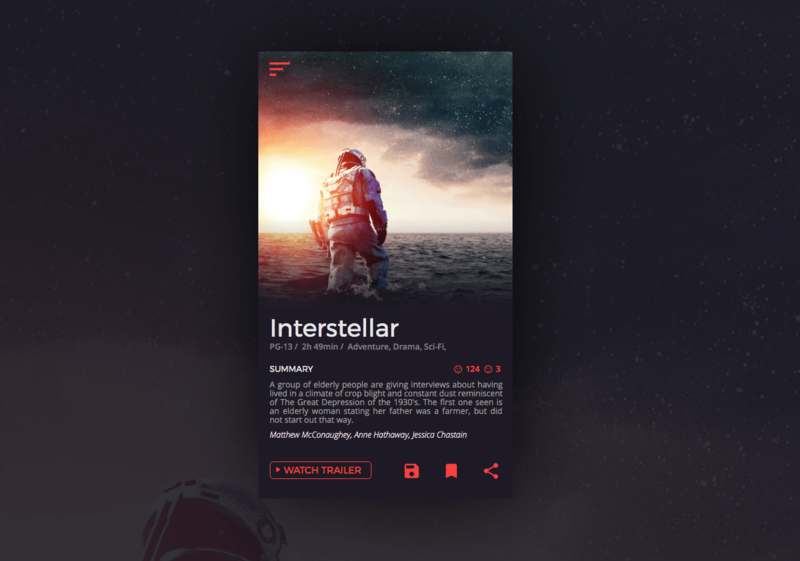 Interactive movie card with rating option with pure css3. 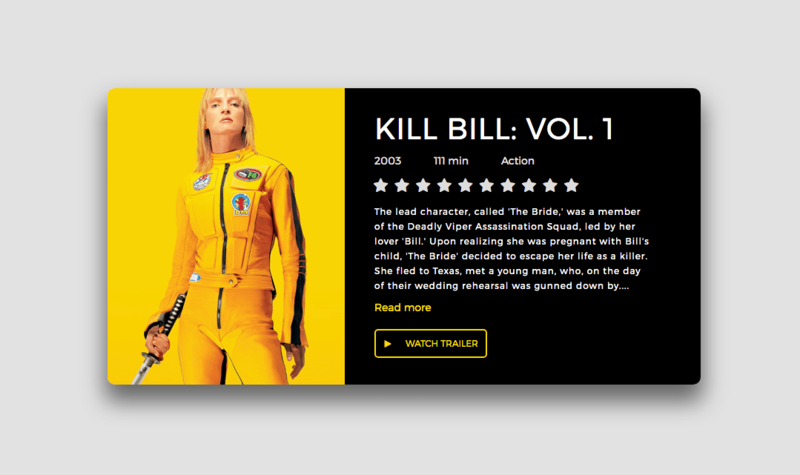 Simple looking movie card, but on hover, it floats left and open a nav to change movies. 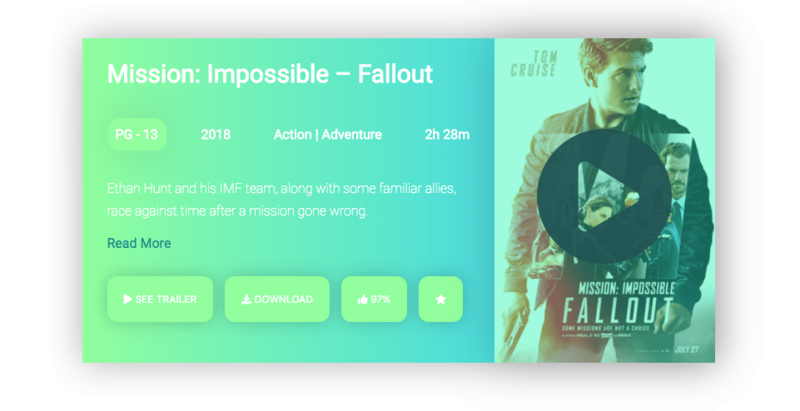 Responsive movie card with Like, comment and share buttons and one CTA to watch the trailer. Used movie cover for the background. Colorful movie card with the trailer on right, but it annoying to see the animation on the play button on loop. 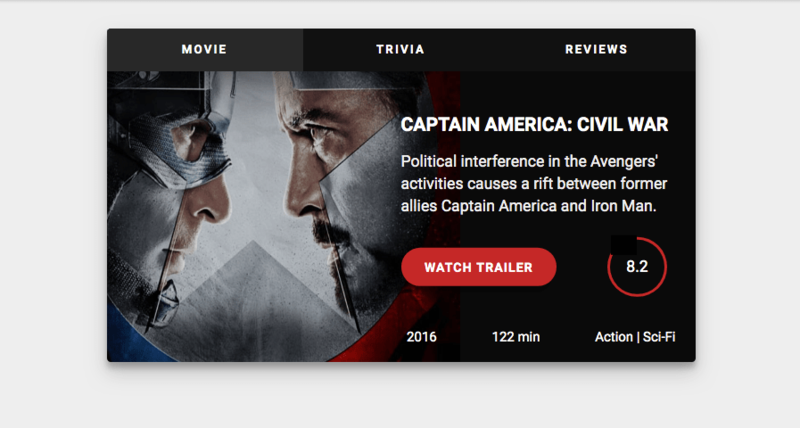 Dark UI movie card with CTA, ratings and more tabs on top.